(Newser) – So much for the conventional wisdom that—as CNN puts it—"people tend to drink in good times and bad." According to market research firm Euromonitor International, global alcohol consumption fell by 0.7% in 2015. It's the first time people are drinking less alcohol since Euromonitor started tracking that stat in 2001—and likely even before that. The Telegraph reports the world drank 1.7 billion fewer liters of alcohol in 2015 than it did in 2014. In a remarkable show of moderation, we only managed to put away 248 billion liters total last year. 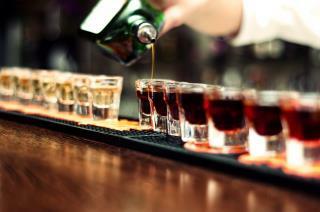 Experts blame the drop in alcohol consumption on slumping economies across the globe, according to the Week. Alcohol always has been a DANGEROUS DRUG. Only idiots use it.